"World travel and ancient craft come together to form Wanderer, where April Rhodes creates her own language through a panorama of adventure dotted by symbols from her heritage, destinations and dreams. 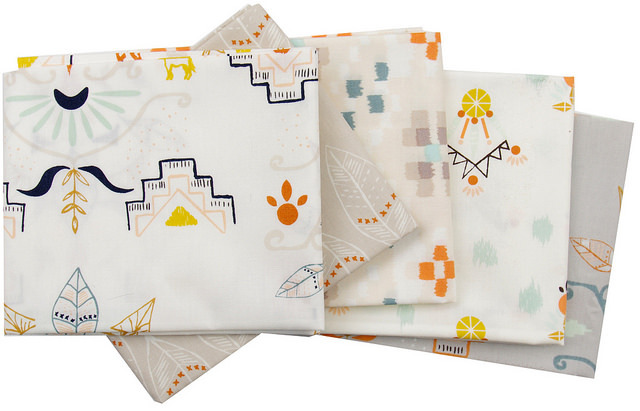 These artful designs are tied in with a fiery orange, dusky blues, and sandstone." (Art Gallery Fabrics). 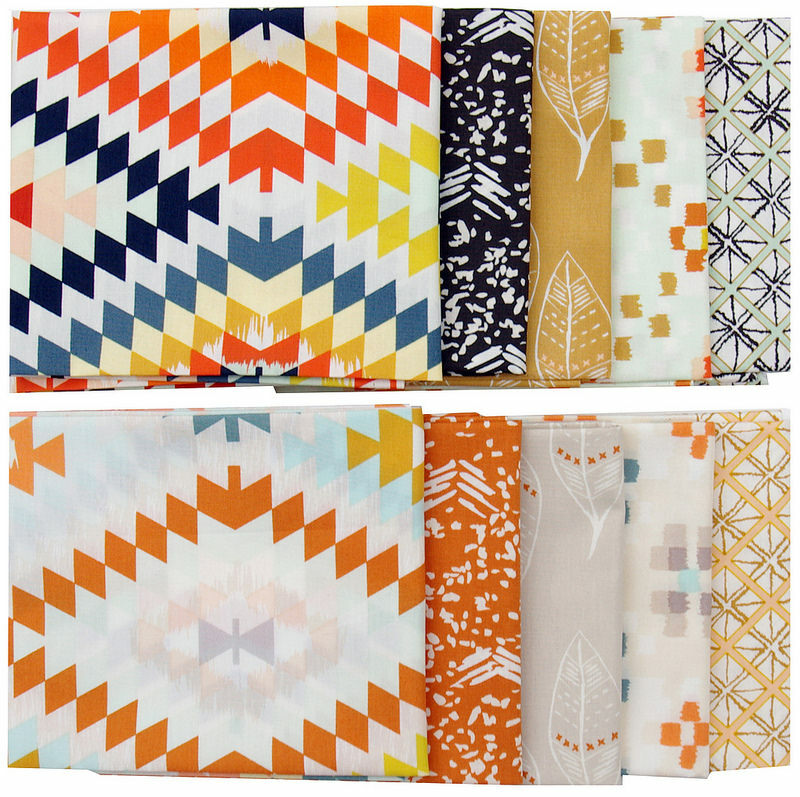 Wanderer is April's second fabric range for Art Gallery Fabrics (and follows the popular Arizona collection). Inspired by April's love for travel, exploration and adventure and features warm earthy colors, dusky blues and sandstone. April's design style is unique and I like that both her collections work so well together. 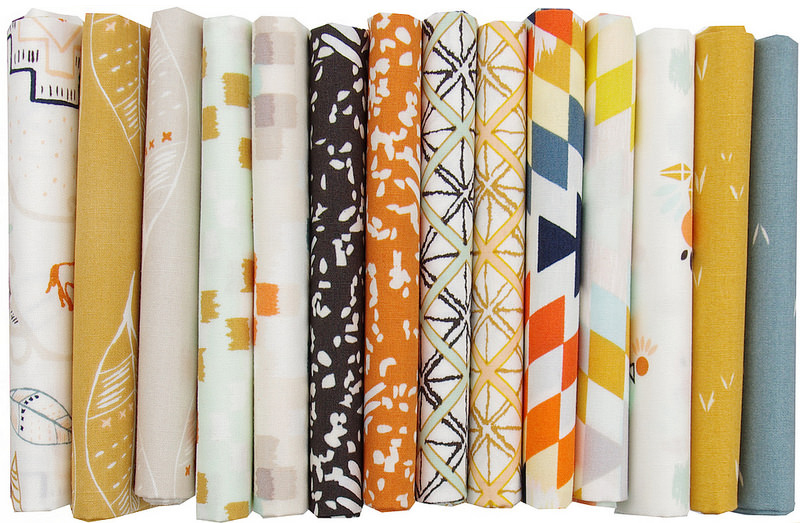 Although a step outside of my comfort zone I am drawn to this collection for both the warm color palette and combination of graphic and neutral (and low volume) prints. I would love to see you make a quilt with this fabric. Love the colors. The gold is one of the prettiest shades I have seen. Beautiful collection. 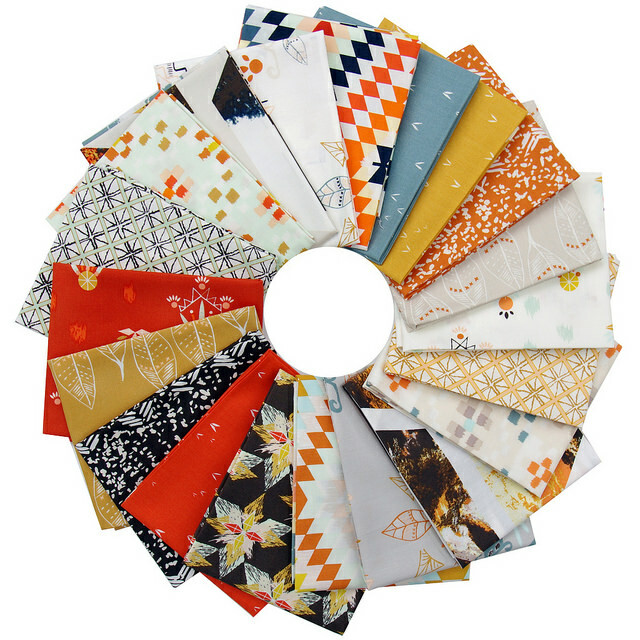 Fort Worth Fabrics had a free pattern for a small wallhanging made with some of these and Kona Solids. Beautiful fabrics! Can't wait to meet you at Sewtopia!